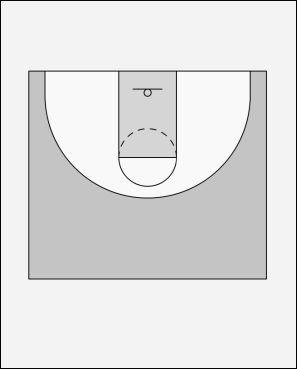 4 sets a screen for 5 and rolls to the basket. 5 uses the screen of 4 and goes inside. 3 makes a fake inside and goes to the corner. 2 tries to get free in 3-point land for the skip pass.